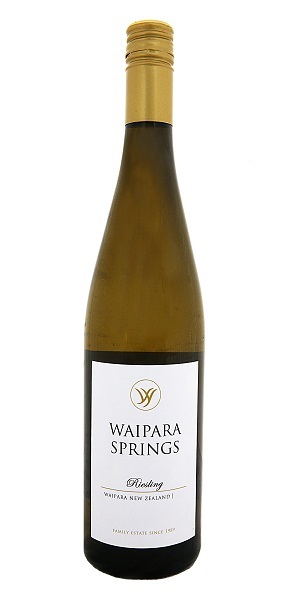 Waipara Springs Riesling is a delightful medium-dry style with bright glass-filling aromas of green apples, mango and hints of ginger spice. Fresh and fruity to taste with a just off-dry finish, the wine displays lovely fruit purity and fine texture, brilliantly structured by nicely pitched acidity. string(29) "Aromatic, expressive and pure"
string(488) "Another white varietal with a claim to be the greatest in the world. So many dimensions possible, so true to its terroir and capable of producing wines through the full spectrum of sweetness, from steely dry to richly exotic. With notably high natural acidity Riesling has a firm backbone for extended ageing. Never married to oak, it is all about citrus notes, orange blossom, lime, lemon and conference pear. With time in bottle, tell-tale notes of kerosene start to appear on the nose."